At the end of 2007, Cafe Coffee Day Founder and Chairman V.G. 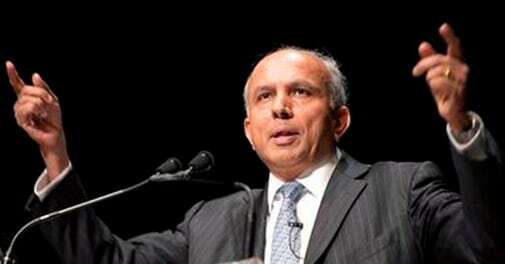 Siddhartha flew from Bangalore to Mumbai to have dinner with Canadian billionaire Prem Watsa. There was a slight nip in the air that evening but Watsa's prediction was chilling: a bubble had developed in the US sub-prime mortgage market and it would explode soon. The following year, Watsa's forecast came true. Media reports say the India-born CEO of Fairfax Financial Holdings had moved much of his company's $16-billion portfolio out of the stock market and into safer treasury bonds and cash ahead of the 2008 meltdown. "He confidently told me something was wrong in the US sub-prime mortgage market," says Siddhartha, who has known Watsa for about 15 years. "In 2008, Fairfax was the highest profit-making corporation in Canada because Prem took the right derivative calls at the right time." Watsa may have been spot on five years ago, but the question on everybody's lips today is: has he made the right call by offering to buy beleaguered smartphone maker BlackBerry Ltd for $4.7 billion? Some industry experts think it is a risky bet because the 63-year-old known as Canada's Warren Buffett, is generally a careful investor. They are sceptical because Toronto-based Fairfax's investment in BlackBerry hasn't paid off so far. It has already paid an average of $17 a share for 10 per cent in the company; last fortnight, the shares were trading below the Canadian-led consortium's latest $9 bid price. But Watsa is confident he can pull it off. "We wouldn't put our name to such a high-profile deal if we didn't feel confident that at the end of the day our due diligence would be fine and we'd be able to finance it," he told Reuters. Watsa's confidence stems from his track record. 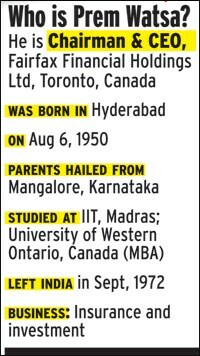 When he failed to make it to the Indian Institute of Management, Ahmedabad, after graduating from the Indian Institute of Technology, Madras, in 1971, he worked a couple of jobs in Hyderabad until he got admission to the same management school the next year. Barely a month later, he moved to Canada where he went on to get a management degree from the University of Western Ontario. He began his career at Confederation Life Insurance Co in Toronto, and in 1984 co-founded Hamblin Watsa Investment Counsel, now part of Fairfax. He took control of Markel Financial Holdings the next year and in 1987 renamed it Fairfax - short for fair and friendly acquisitions. "He is a remarkable Indian, who landed in Canada with $8 in his pocket. His investments show his sharp analytical mind and vision for his company," says Coffee Day's Siddhartha. Over the years, Watsa grew into a savvy investor. He built Fairfax into a global insurance and investment firm with some unorthodox but prescient business decisions. When Watsa began his entrepreneurial journey in 1985, gross premiums written in his insurance business were $17 million; by 2012, they had ballooned to $7.2 billion. Last year, Fairfax's insurance and other investments logged $8 billion in revenues and $540 million in profit. One of the companies Fairfax has invested in is Arbor Memorial, a 66-year-old funeral services company that runs 41 cemeteries and 92 funeral parlours in Canada. Watsa once jokingly told his shareholders: "Rest assured, this business is not going away." The Indian business community sees him as a leading investor. "In the investment community, I don't think there is any other Indian who is as tall as Watsa," says Subba Rao Amarthaluru, Chief Financial Officer, RPG Group. 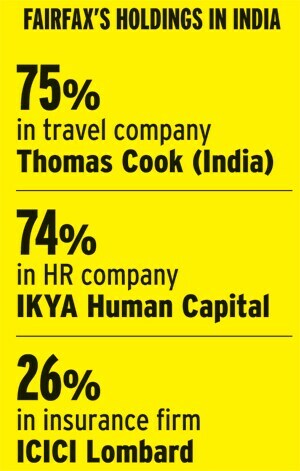 Watsa's group made two big investments in India last year: it acquired 75 per cent in Thomas Cook (India) and, through it, also controls Bangalore-based HR solutions firm IKYA Human Capital Solutions. His group holds a 26 per cent stake in ICICI Lombard General Insurance Company as well. "Our investment philosophy is based on the value approach as laid out by Ben Graham and practised by his famous disciple, Warren Buffett. This means we buy stocks of financially sound companies at prices below their underlying long-term value. We expect to make money over time, not in the next month or two," he said in his first annual report in 1985. India remains on Watsa's investment map. Industry experts say he will develop Thomas Cook along the lines of Berkshire Hathaway, Buffett's investment vehicle. When Watsa picked up a 74 per cent stake in IKYA for Rs 260 crore last year, he handled it through Thomas Cook and not his Mauritius-registered investment company Fairbridge Capital. "That shows Prem's contrarian approach," says a colleague. Fairfax executives say Watsa looks for companies with strong fundamentals and long-term potential. IKYA is a case in point: it is already making more profits than its competitors and will touch $1 billion in revenues in three years, says its co-founder and CEO Ajit Isaac, who first met Watsa ahead of the acquisition last year. "In the first 30 seconds, you will know you are connecting with someone who can make a difference to the moment; his integrity strikes you upfront," he says. One senior Fairfax executive says Watsa is a positive thinker. At the same time, he is a realist, aware of the risks involved in a potential deal and capable of predicting what could go wrong. 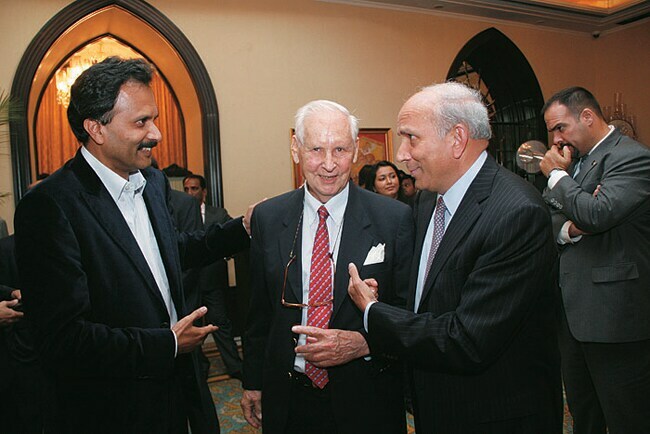 In early 2007, Watsa sent Richard Bookstaber's book on the causes of the financial crisis, A Demon of our own Design, to ICICI Bank's youngest director V. Vaidyanathan, who was heading retail banking then. Watsa, who was on the board of ICICI Bank, was highly supportive of the retail banking concepts. "Watsa believes in the concept of creating real sustainable value, saying if you create sustainable businesses, it will override cycles," says Vaidyanathan, who now heads Capital First Ltd.
Isaac says one of Watsa's biggest strengths is his ability to zero in on relevant information in the maze of details in potential deals. Watsa is known for the folksy tone of his letters to shareholders. In the March letter, he took a dig at former Citigroup Inc CEO Chuck Prince who, when asked about the bank's overexposure to private equity buyouts, told a journalist in 2007: "As long as the music is playing, you've got to get up and dance." The next year, the bank required a $45-billion bailout. "Expensive dance," said Watsa in his letter. "We prefer to wait for the music to stop and not depend on the kindness of strangers to be in business."